Bestowed on individuals who have made a distinct contribution to their particular profession, business or vocation and in doing so have brought honor to Baylor. 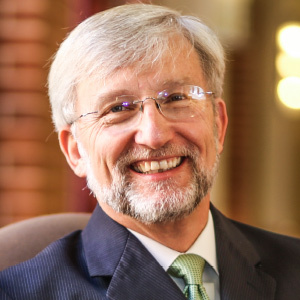 David Garland has served Baylor University with faith, hope and love, stepping in to lead Baylor in a variety of capacities — as dean, interim provost and twice as interim president. He demonstrates a rare depth of expertise in both academic and congregational life, skillfully balancing measured wisdom and peace with unquestioned love for Baylor and true servant leadership. Garland is a respected New Testament scholar and pastor. This summer, the Baylor Board of Regents honored Garland for his service to the University by establishing the David E. Garland Scholarship Fund, a $5 million resource that will assist Truett Seminary students.